It is not always possible to arrange a good rest in summer. Often, vacation falls at the beginning of autumn, but you should not be upset about it. The time of the first cold weather has not come yet, and the tiresome heat in the resorts has already receded. Where to go to rest in September, it is best to decide in advance, thoroughly prepare for the trip and think it over to the smallest detail. a chance to save part of the family budget. Determining where to rest is better, first of all you need to decide exactly how you want to spend your time. The choice is great: from sunbathing to the sound of the surf to sightseeing in cultural centers and river tours of the Golden Ring. Why not go to Abkhazia? Beaches strewn with small pebbles, sparing sunshine, comfortable water temperature in the sea and wonderful ripe fruits at ridiculous prices are a great option for family, romantic or private holidays. It is also suitable for those who want to save: you can get to the place on your own car, rent an inexpensive room in a hotel, a boarding house, or get a good job in the private sector. There is no need to worry about nutrition, as products in Abkhazia are very accessible. In addition to the services of tourists there is always a lot of cozy cafes and good restaurants. On the Black Sea coast, too, there is where to spend a vacation. Many tourists go to Anapa in September. The first weeks of autumn there are surprisingly good due to mild weather conditions. For Indian summer in Anapa, moderately hot days and warm nights are characteristic, so it will be pleasant to relax on the seashore or walk the streets at any time of the day. 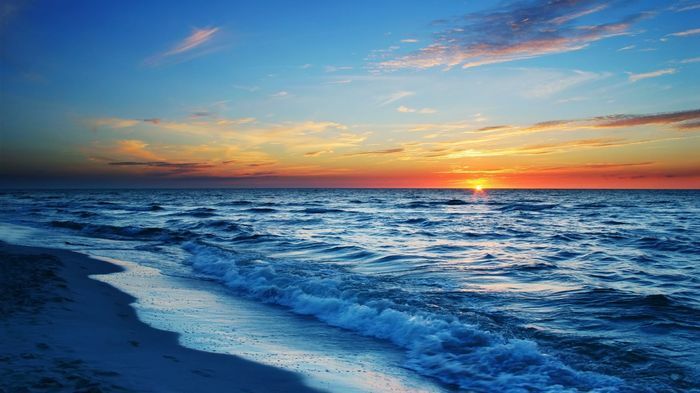 The Sea of ​​Azov is popular among lovers of family holidays with children. Sandy beaches, shallow waters, warm and dry weather have a calm, unhurried pace. But without entertainment will not be bored! Finding where to rest in September at the sea is cheap, but at the same time not regretting your own choice, it’s quite possible if you don’t run after exotic things. Not everyone is ready to enjoy the seascape for two weeks in a row, swing on the warm waves and build sand castles on the shore. For lovers of the constant “change of scenery”, trips to the cities of our country are perfect. Those who wish to plunge into the world of antiquity and classical Russian architecture will get unforgettable impressions after visiting Moscow. What is only one museum complex Tsaritsyno! In general, one can travel to Moscow countless times — she will always find something to surprise. The cultural capital of our country attracts a huge number of tourists from all over Russia. Despite the humid climate and cloudy weather, the melancholic St. Petersburg is able to inspire at any time of the year. Museums, bridges, theaters, leisurely walks, good restaurants — pleasant memories will be enough for the whole coming year! For one vacation, you can have time to visit several cities or linger in one. Such an active holiday is great for youth companies or couples. To leave for a holiday from the country to see the world, to get to its most beautiful corners is a real dream of many citizens. But where to go abroad, it is very difficult to decide, because the choice is so great! One of the most visited tourist countries is beautiful Italy. It has everything: great architecture, museums, opera, beautiful gondoliers, breathtaking cuisine. Milan Fashion Week takes place just in the second half of September, and local boutiques — a real expanse for first-class shopping. 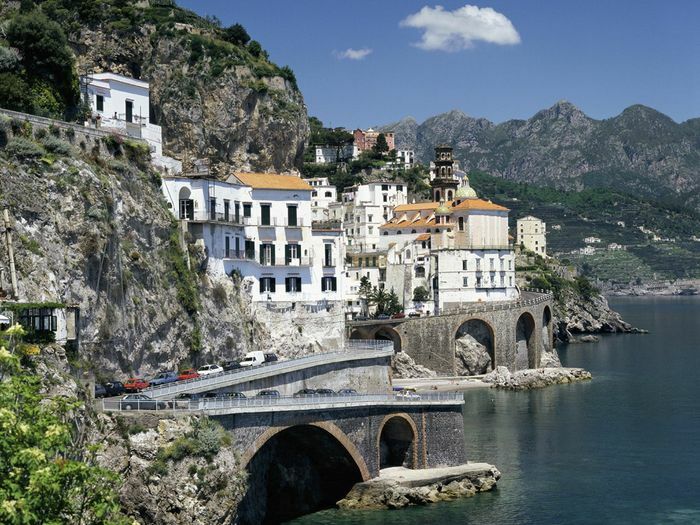 The northern coast of Italy will take those wishing to spend the velvet season on the beach. Sardinia, the Venice Riviera is +30 in the air and +22 in the water at the time when the red autumn comes in Russia. Rome, Naples, Sicily, Sanremo … Even for the experienced travelers, these names cause pleasant excitement; having been there once, you always want to come back. Spain has time to cool down a bit by September, the flow of tourists is getting smaller, and prices are falling. The air temperature is usually kept at 25-27 ° C, and the water is still warm. For those who hardly endure the heat, the prospect of going to Spain seems to be very tempting, it is worth thinking about. In the Czech Republic — a sea of ​​impressions and an ocean of pleasure. In September, this country, more than ever, has tourists. Healing springs of mineral waters await you in Karlovy Vary. By the way, from here not far by bus to the castle Loket. The capital will also be happy to see guests, everything is ready for unhurried rest. Warm days and nights covered by autumn freshness … Long walks through the picturesque streets and gardens (be sure to visit the Wallenstein Garden, plus it’s free) and cozy evenings in local restaurants. Czech Republic leaves the warmest memories. And for those who want to spend money on fashionable branded items, but at the same time it is good to save, the path will run through the main shopping streets: discounts will please the eye and wallet. In the summer of Cyprus there is a shortage of rain, dust, heat. And in September at this resort — a riot of nature, color and fragrance. Therefore, we are going here in the fall! Amazing strawberry tree is covered with magnificent buds exactly in the beginning of autumn. And even at this time you can enjoy ripe exotic fruits and olives. In September in Cyprus, the beach season is in full swing, so the vacation will not be wasted! significantly reduced prices for excursions and other entertainment. Beach, warm surf or swimming pool, fruit cocktail in a sweaty glass, golden tan — all this awaits travelers in Turkey in September. Egypt all summer is engulfed in withering heat, so long excursions are usually canceled during this period, and it’s dangerous to be on the beach for a long time. But in September, the sand no longer burns, the sun heats, and the waves caress. The naughty sea wind brings freshness from the expanses of water, but its coolness is deceptive, so protective creams, lotions, as well as light scarves and hats are still necessary to protect yourself from sunburn. Having gone from the Russian autumn straight to the hot bliss of Egypt, you should not rely on affordable prices. The autumn season at the resorts of this state is not cheap for tourists, but the quality of the rest justifies the high cost. Of course, Paris! The city of poets, artists and musicians, it is beautiful, sometimes — ugly, but still majestic, masterpiece! Where can you rest, feeling awe and delight, if not in Paris? 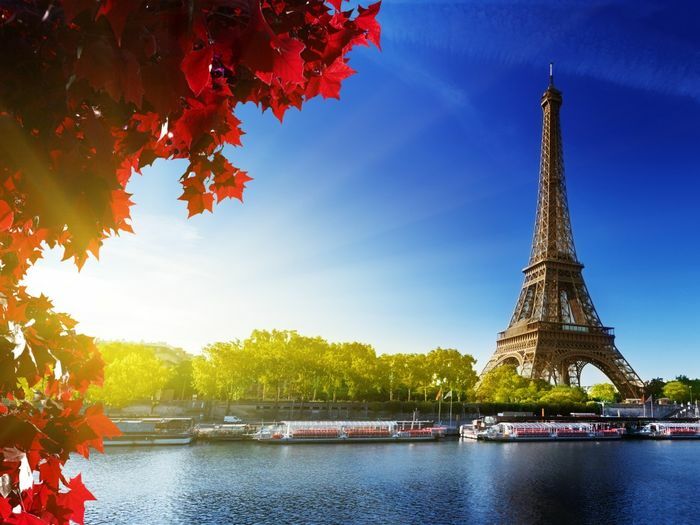 Eiffel Tower, Montmartre, Champs Elysees, Latin Quarter, Notre Dame, Louvre, Sacré Coeur, walks along the banks of the Seine … If you rationally plan a vacation time, then two weeks will be magical, but you have to spend money. For example, lunch for two in a good French institution will cost about 100 euros. London will meet tourists with its usual dimension and gloss. If you are going to visit this extraordinary city in September, you should not neglect warm clothing. In the best traditions — stock up on a raincoat and umbrella. The charm of London is very special, gourmet travelers can appreciate it, and the food has nothing to do with it! Architecture, tours, parks — everything is at the highest level. Elegant, restrained, subtle … Ladies and gentlemen, Trafalgar Square, Shakespeare Museum; oatmeal, sir! The Thames Festival takes place just in September, and lasts the whole week and a half. Holidays with children are so touching, entrancing, but also tiring, if the child suddenly gets bored. The program needs light and fun. Carousels, water parks, sea sand, fountains and other attractions should be present in the place where it was decided to relax with children. Today it is extremely popular and more convenient than ever to visit resorts abroad. Where to fly with a child in September, everyone chooses, trying to combine their own aspirations with the interests of the main family member. Lazio region in Italy. Terracina, Sperlong, Gaeta are first-class resorts, where the beaches are strewn with the purest fine sand, and a gentle descent into the sea makes swimming in it as safe as possible. Antalya. Hotels in this resort are equipped with water parks, play areas and are perfectly prepared to welcome tourists with children. Greece, Crete, Chania city. In September, the resort is immersed in lush greenery, and small waves roll on soft white sand. Of course, it is impossible to list and describe all the places worth visiting. Everyone should be guided by their preferences and mood. Today, I want to fly to Havana, to the island of freedom, and tomorrow — to take the Moscow train and wave to Petushki!